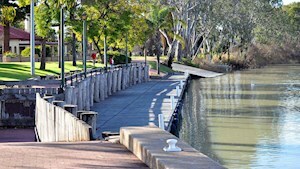 Famous for its heritage listed hotel, 'the OC' as the locals know, it is a must on your Riverland holiday checklist. Click on the map above for directions to Overland Corner. Famous for its heritage listed hotel, 'The OC' as the locals know it, is a must on your Riverland holiday checklist. For centuries, the Overland Corner area has proved popular with weary travellers. Large areas of flat land, accessible river banks and adjacent towering cliffs offered a convenient place for drovers to rest while moving thousands of sheep across South Australia to New South Wales during the 1800s. To service both road and river traffic, John Chambers (a successful pastoralist) commissioned the building of the Overland Corner Hotel, and in 1859 the hotel was built by William, Henry and George Brand. In the early 20th century the hotel also served as the local mail exchange and, due to its historic significance, is now owned by the South Australian National Trust. 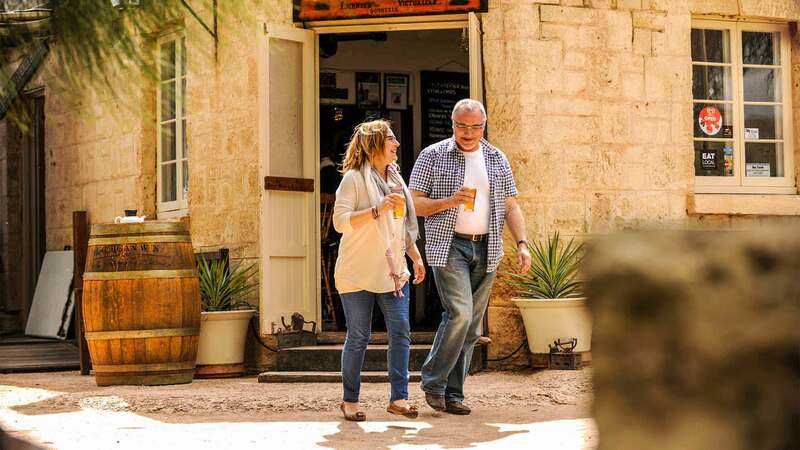 Visit the hotel and enjoy local fare and a local beer brewed in the Riverland. 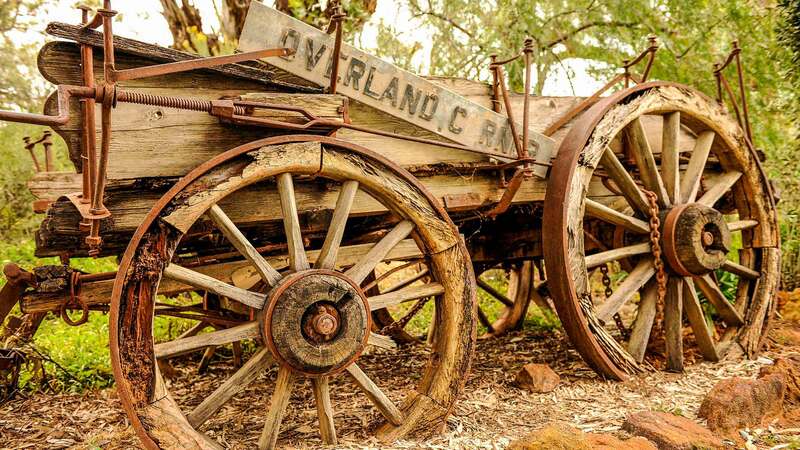 The National Trust Overland Corner Walking Trail is a great way to explore the area’s European and Indigenous heritage – trail maps are available at the Barmera Visitor Information Centre. The Heron's Bend Reserve area is popular for camping and bushwalking. There are some excellent examples of red gum, black box and river coobah trees plus several species of mallee and acacia in this area along with cliffs of fossiliferous limestone surmounted by massive oyster beds.